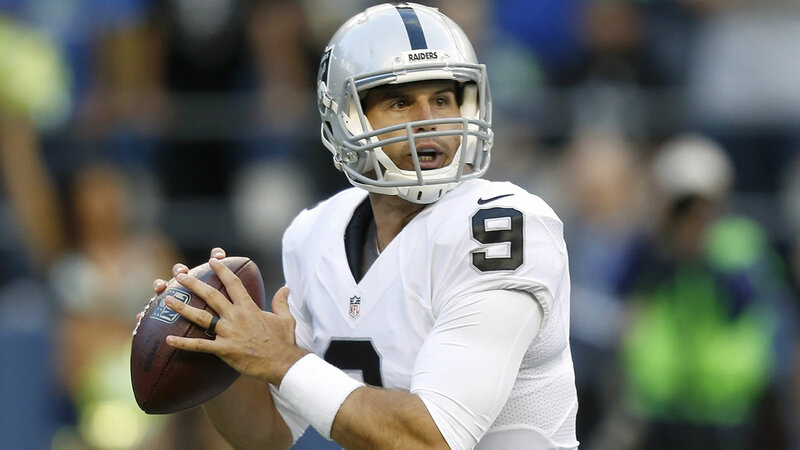 SAN FRANCISCO (KGO) -- The San Francisco 49ers have announced they signed former Oakland Raiders quarterback Christian Ponder to a one-year deal. In order to make room on the roster, the team says they placed QB Thad Lewis on the Injured Reserve List. "Originally the 12th overall draft pick in the 2011 NFL Draft by the Minnesota Vikings, Ponder (6-2, 230) has appeared in 38 games (36 starts), completing 632 passes for 6,658 yards and 38 touchdowns, and 26 rushes for 639 yards and seven touchdowns, during his time in Minnesota (2011-14). Ponder signed with the Oakland Raiders on March 13, 2015, and spent training camp with the team before being released on September 5, 2015. He later signed with the Denver Broncos on November 25, 2015, where he was inactive for two games for Denver and later released on December 8, 2015. A native of Dallas, TX, Ponder attended Florida State University, where he appeared in 35 games (2007-10) and threw for 6,872 yards and 49 touchdowns. He also registered 296 rushing attempts for 833 yards and 10 touchdowns. Lewis (6-2, 200) signed a one-year deal with San Francisco on March 10, 2016. He completed 12 of 21 passing attempts for 97 yards in this past Sunday's preseason contest against the Houston Texans."